This volume contains a portion of the presentations given at the session on High Energy Physics and Astro- physics of Orbis Scientiae II, held at the Center for Theoretical Studies, University of Miami, from January 20 through January 24, 1975. This, second in the new series of meetings held at the CTS, strove to implement the goals professed in the organization of Orbis Scientiae in 1974, namely to encourage scientists in several disciplines to exchange views, not only with colleagues who share similar research interests, but also to acquaint scientists in other fields with the leading ideas and current results in each area repre- sented. Thus, an effort has been made to include papers in each session that discuss fundamental issues in a way which is comprehensible to scientists who are specialists in other areas. Also in keeping with the philosophy of Orbis Scientiae, the major topics each year are to be varied, with the invariant being the inclusion of developments in fundamental physics. 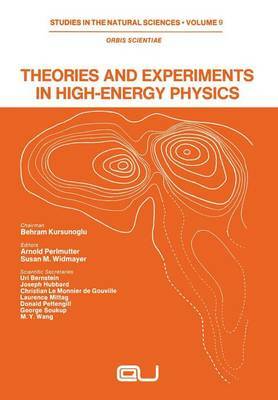 The discussions of the current state of the art in high energy physics represented in this volume include new theories and experiments in the field. v PREFACE Special gratitude is due to the following for their contributions as organizers and moderators of the ses- sions on high energy physics and astrophysics: Abdus Salam, Jogesh Pati, Karl Strauch, O. W. Greenberg, Sheldon Glashow, George Sudarshan and W. John Cocke. The editors wish to express their appreciation to Mrs. Helga Billings and Mrs.